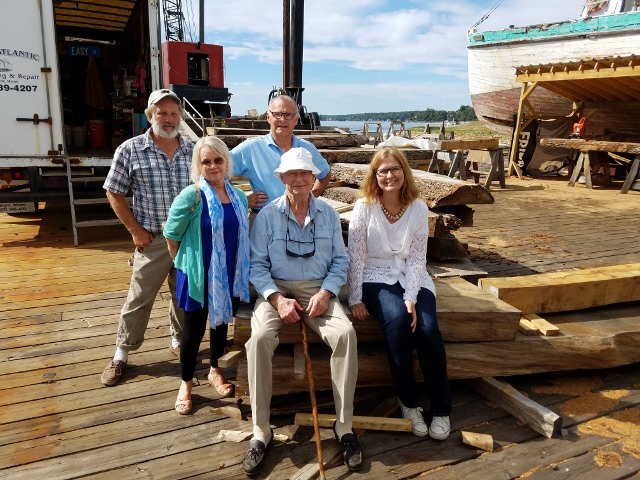 Philanthropists Gerry Lenfest and Bob Hildreth viewed the progress on Ernestina-Morrissey’s rehabilitation in August. Together they have provided $2.8 million toward this project and we thank them for their continued interest in the future of the ship. Join them, DONATE TODAY! 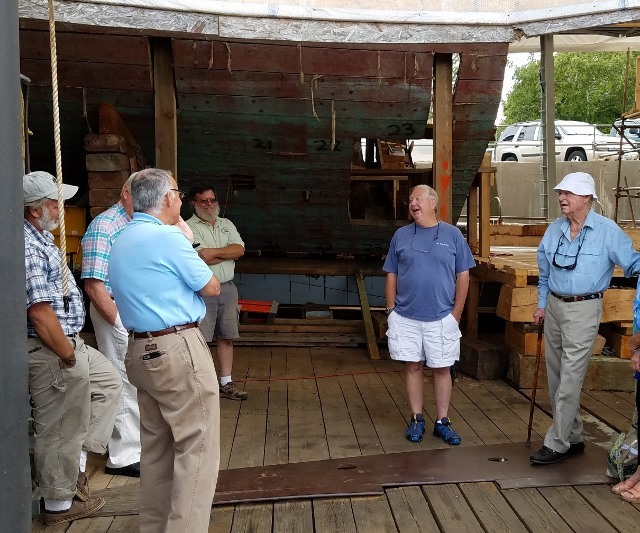 DCR’s Harold Burnham and the Boothbay Harbor Shipyard crew explained the work completed so far and demonstrated some of the processes they use as they rebuild Ernestina-Morrissey’s hull. Patterns from lofting and choosing timbers. 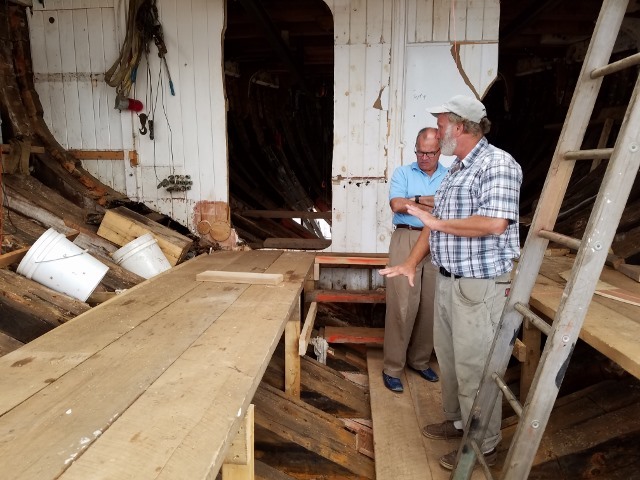 At the September Schooner Ernestina Commission meeting Harold and Wendy explained that Boothbay Harbor Shipyard has proposed full replacement of frames forward of Frame #24. DCR and Harold Burnham considered the proposal and requested a change order for $135,000 and a contract extension to June 2019. The Commission approved these changes. Here is the progress report presented at that meeting. Boothbay Harbor has proposed full replacement of frames forward of Frame #24. DCR and Harold Burnham considering proposal and requested change order for $135,000. This entry was posted in Commission, Maintenance and Operations Committee, News. Bookmark the permalink.